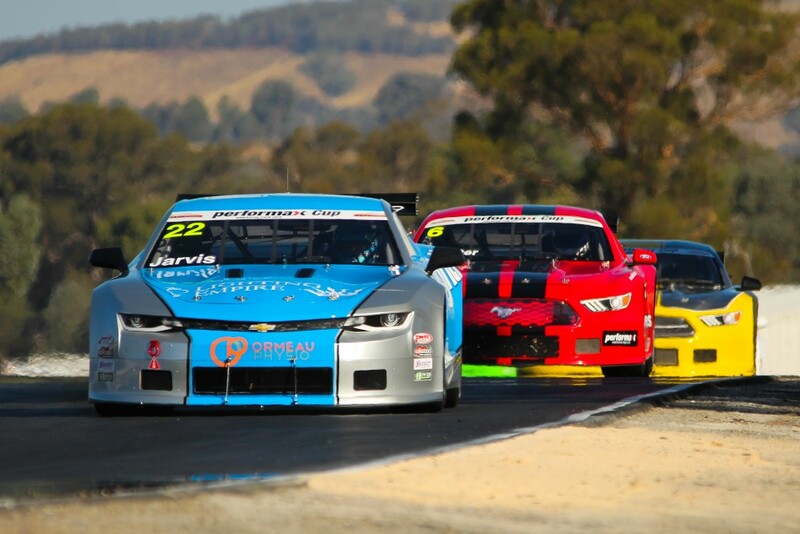 Just 16 points separate the top three in the standings as the Performax TA2 Muscle Car Series heads to Wakefield Park Raceway for their championship debut at the Goulburn circuit with the Australian Motor Racing Series this weekend, August 18-19. Defending champion Russell Wright leading the championship in the RoadBees Transport Mustang, while three points separate second-placed Hugh McAlister’s Ford Mustang and Ashley Jarvis’ Lighthouse Electrical-backed Chevrolet Camaro. They’ll be out to stop Aaron Seton’s run of form that saw him clean sweep all four races at round four at Queensland Raceway, with Seton committed to the remaining three rounds of the series in the Castrol Harris Racing Ford Mustang. Performax TA2 Muscle Car Series manager Craig Denyer confirms talks are already underway with promoters to put together a calendar of events for next year. “We are currently in the planning stages for the 2019 calendar, and ideally would like to have this locked away by the end of September or as close as possible,” explained Denyer. The category has confirmed another order of cars in preparation for the 2019 season, with a total of 33 cars to be in the country by the end of this year. Hugh McAlister is looking forward to returning to his home track for what will be a big weekend for the two-car McAlister Motors outfit he shares with his father Ian, and hopes to maintain his consistent run of form that has seen him in contention for the title. “I’ll follow the same plan i’ve carried through all the rounds this season, and that’s simply to try and finish as close to the front as possible. I can’t afford to have a DNF with our points system,” said McAlister. The Performax TA2 Muscle Car Series will have four races across the weekend at the Australian Motor Racing Series, with event organisers dedicating a portion of gate proceeds and other fundraising activities to raise money for drought-affected farmers and communities through Rural Aid charity and the Buy a Bale of Hay program. Sunday’s action will be live streamed courtesy of Blend Line TV, with live timing available at Natsoft Race Results.